A visit to Loddon in January showed Group finance director Phil Tweedie just why the village is such a safe neighbourhood. 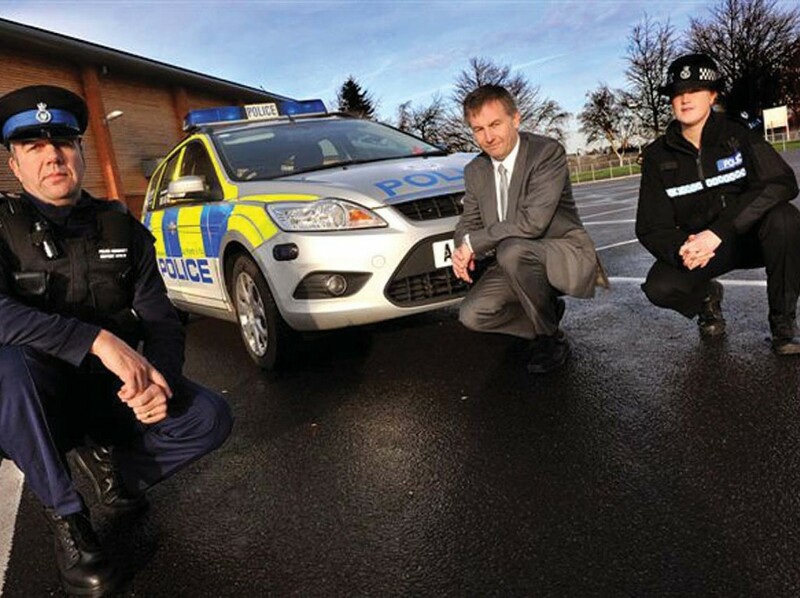 Last year Anglian sponsored the Safer Neighbourhood Team of the Year award at the NOSCAs (Norfolk Safer Community Awards). Phil Tweedie and PC Kevin Nightingale of Loddon’s Safer Neighbourhood Team with PC Sally Hammerton. The winning team were Loddon’s PC Robert Hipperson, with PCSOs Donna Boggis. Kevin Nightingale and Christopher Rose. Phil, accompanied by marketing’s Melanie McDonald, saw just what a difference the team had made to people’s lives. To begin with they are not based at the police station, but have an office at Loddon High School – putting them at the heart of the community. “We saw how this helps to make the team more approachable,” explained Phil. “The young people at the school get used to them and will talk to them if they have problems. “They also hold twice weekly surgeries at the local library where people can sit and have a chat. “They are more like the old fashioned bobby on the beat that everyone knew and would pass the time of day with.” Success in bringing people together to talk situations through can be seen with the example of young people gathering together in the evenings with their scooters. They were creating noise and were seen by an elderly resident and a young mum as a real nuisance. The Safer Neighbourhood Team talked to the young people and recognised that they needed somewhere to meet. They also introduced the residents and the youngsters to each other. During the meeting both sides became people, rather than antagonists. It ended with the youngsters agreeing to cut down the noise. As a gesture of friendship they gave the elderly resident a box of chocolates in way of a peace offering. “The success this team has made to the safety and security people enjoy makes us very proud that Anglian sponsored their well deserved award,” added Phil.